Following @6-8 years of extraordinary growth on the broadband internet (YouTube was the first mainstream online video application) we are beginning to see some familiar patterns as the walled gardens divided on a country by country basis, much loved by the content owners, come down. Mainstream entertainment in the US market (following its usual patterns) is now over 50% of network capacity and NetFlix has the biggest individual share of downstream traffic while BitTorrent dominates in the upstream area. Very interestingly of the IP delivered general entertainment traffic over 50% is not viewed on a computer but on a TV screen or alternative device. It seems that size matters and people prefer to watch entertainment on a device they think of as a TV. However in the ROW the pattern is quite different as BitTorrent and other similar sites dominate. Either way an increasing amount of entertainment video is being delivered via IP networks via an "over the top" method. 1. Piracy is truly global with the most commonly re-distributed sports channels being SkySports, ESPN and Al Jazeera. This re-distribution is global and cuts straight across the underlying rights owned by those channels. 2. This activity is supported (directly or indirectly) by an impressive list of blue chip advertisers such as Google, Vodafone and BT. 3. Football is the most popular sport and typically a major event will be available live and free across about 25 individual channels at quality levels varying from excellent to poor. 4. The legislative framework is starting to catch up with cases such as the MPA vs BT and SOPA in the USA. There are significant unrecognised liabilities for intellectual property infringement in the market. 5. Where effective anti-piracy measures are deployed PPV and subscription numbers increase significantly. 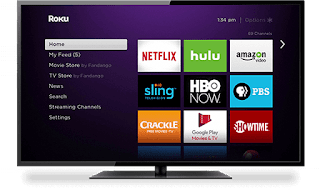 The heady days of the "walled garden" are pretty much gone and in the US at least the internet has now started to hit the TV providing undreamed of consumer choice. Business models will doubtless alter - reaching more consumers cheaply will be easier but protecting exclusivity and IP rights will be more of a challenge. 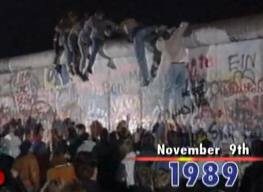 That said, I was in California when the Berlin Wall came down in 1989, and it it fair to say that it was impossible to predict the longer term impact of that event at the time.